Jun 06, 2016 in "Les Parfaits Inconnus"
The next group to appear at Epcot's Canada Pavilion will be Les Parfaits. The group is a circus troupe - rock band combination, that includes acrobatics, balancing, juggling and comedy. 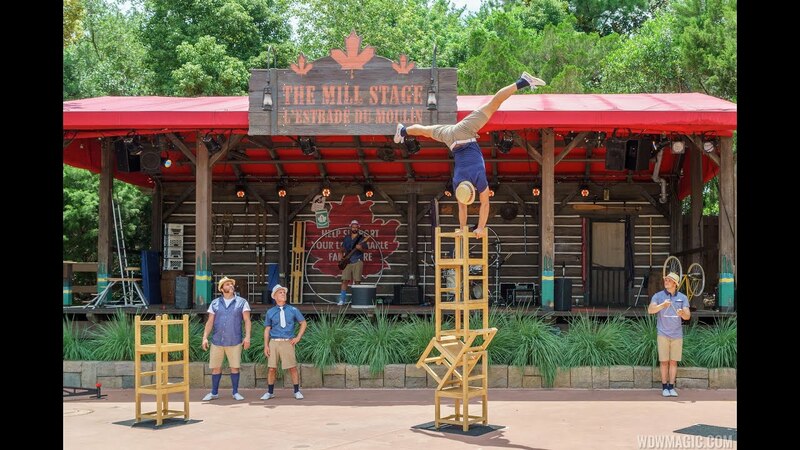 Look for shows to begin later in June on the Mill Stage. Les Parfaits replaces Alberta Bound, which concluded its run this past weekend.